Cutting down on printing is both beneficial for the budget and the environment. Going paperless with an event app eliminates the need for costly printing, enables quick and easy program publishing and ensures immediate communication with attendees. Apps allow attendees to access and navigate the full program, as well as view additional multimedia resources such as presentation slides and videos. With an app, it is easy to navigate the venue and quickly find a session, exhibitor or speaker bio. Event apps encourage attendee interaction. Not only are attendees kept up-to-date through push notifications, but they can also use apps to create a personal schedule, sync it across multiple devices, and receive alerts when a presentation is about to start. Attendees can also participate in live questionnaires and give real-time feedback to presenters and conference planners through the app, increasing engagement and interest. Mobile apps have revolutionized how attendees network and actually close business at conferences and events. Attendees can see who is attending before the conference starts, prearrange networking meetings via in-app messaging and organize post-event gatherings with colleagues and peers. With event apps, conferences are more than just a casual exchange of business cards – they are intense networking events that yield tangible business results. Mobile apps help your audience connect with you and build a social presence while at the event. 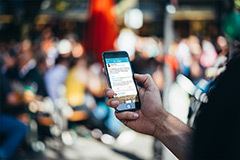 Apps that prompt your attendees to connect their social accounts prevent them from navigating away from your event or app to share their experience on social platforms. Apps enable attendees to post what they've learned in sessions, share interesting things they encounter in the expo hall and increase the overall visibility of your event. Event apps are often equipped with gamification features - which helps target the competitive nature of your attendees and keeps them coming back to the app for more. Build out a prize pack and be sure to involve your sponsors! As you build your gamification plan, make sure to reward heavily for engagement with features that benefit your client as well as your attendees. Event apps deliver valuable, real-time data. This information provides event organizers with greater insight into their event and enables smart, data-driven decisions on the fly. Such rich insight not only ensures the best experience for your guests, but it also enhances the success of subsequent events and increases ROI. 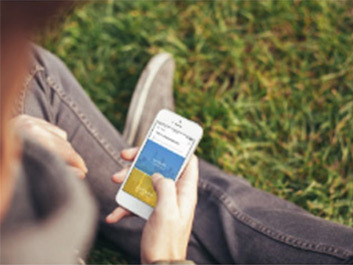 Need advice on which event app is right for you? Dallas planning partners would love to help steer you in the right direction. For more information on planning your next meeting or event in Dallas, TX, visit www.visitdallas.com/meeting-planners or call our planning partners at 800-232-5527.